I’ve been in the zone of asking people for money recently, so I’m going to do an ask roundup here. Support The Wild Hunt. For one, it’s my dream job. How many people get to say that? How many can actually support their families while doing their dream job? Okay, I’m not one of the latter, I still consider it an honor and a privilege to cover Pagan stories of note for the only site that tries to do so without sensationalizing our religions. This is the convergence of two extremely important, yet independent, rights listed in the first amendment of the US Constitution: freedom of the press and freedom of religion. The same internet which has destroyed the business model for all news outlets and gutted journalistic excellence has made it possible for our news to be covered with class and tact. Click the pic, donate something. If it’s two cents, that’s fine by me; I need not ever know. 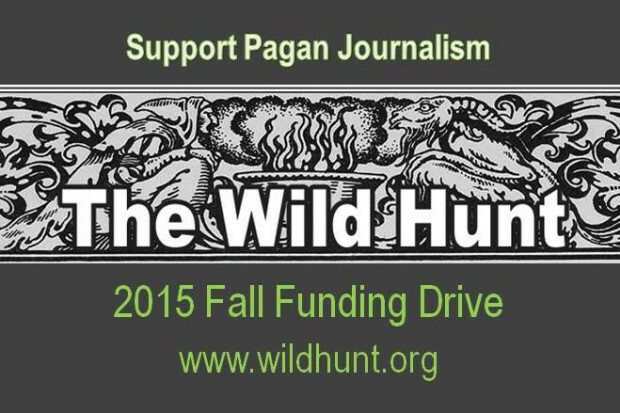 If you’re Pagan, support Pagan journalism by donating today, because the fund drive is running out soon. Support men’s health. I had a mustache which has been called “epic” at least once. I shaved it because a friend told me he couldn’t imagine me doing so. It wasn’t a dare or a challenge, but I realized he was right, so I shaved it. I’ve had some pressure to grow it back, and we are heading towards Movember, when men the world over grow their mo to raise money for men’s health. As it happens, I also have a friend recently diagnosed with penile cancer, so not only am I going to regrow my ‘stache, I’m going to dedicate it to him. This pitch is a bit of a tease, because you can’t donate until November 1 (I think, but feel free to try), so feel free to sign yourselves up if you’re chomping at the bit. And just to be clear, there is some kind of potential benefit for me personally: if I raise enough money, I think someone will send me a razor or maybe some other manly knickknacks. I’m a little nervous that they’ll all be sports-themed, or be emblazoned with Mallard ducks. Even if you don’t donate, following along might be fun because you’ll see daily pictures of my growing efforts. Mind you, the last time I did this I still looked like I had stapled a dead caterpillar to my lip by month’s end, and it didn’t look really amazing for another couple of months, but you never know what my body might be capable of this time around. Click the pic if you think dudes getting cancer in their junk is horrible. Support this cat we found. 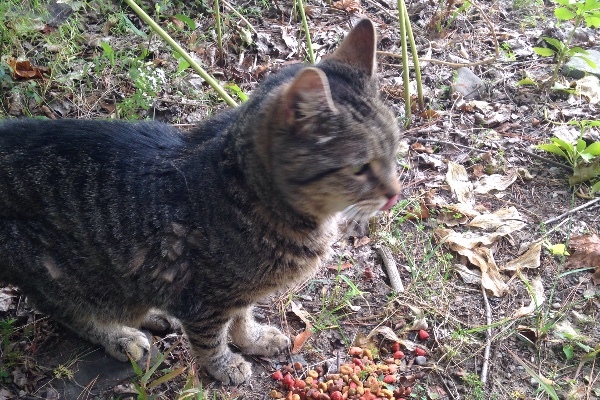 We started by just calling him Somebody, and posted info about this bedraggled, declawed, neutered boy who showed up in our yard, skinny as death and desperate to come inside. After we confirmed he doesn’t have kitty-contagions, we brought him in and dubbed him Kapoios, which is Greek for “somebody.” He’s gotten $500 in dental care including 5 extractions, and his presence has busted our food and litter budget. The other cats really aren’t too keen about having him around, but he’s very good with humans. Might need to find him another forever home, but we will take care of him unless and until that happens, no matter the cost. We think he may have been abandoned by college students or his human died, but all we are sure of is that we haven’t found anybody who is looking for Somebody. Click the pic if you love cats and the people who care about them. That’s my gimme roundup. Have at it, generous people.